It is October and the autumnal colors begin to paint the streets of the Spanish capital. Autumn in Madrid is synonymous with pleasant temperatures, between 11ºC and 20ºC, and fewer people, although being a large city that is always relative. Even if you are not a big fan of this season, we are sure that you will be able to enjoy Madrid in autumn if you decide to visit. This season is perfect for enjoying short getaways since there are several bank holidays, and also as a way to feel better for the return to the routine and the imminent approach of winter, cold and shorter days (although this also means Christmas and there are many who love this time of year too). 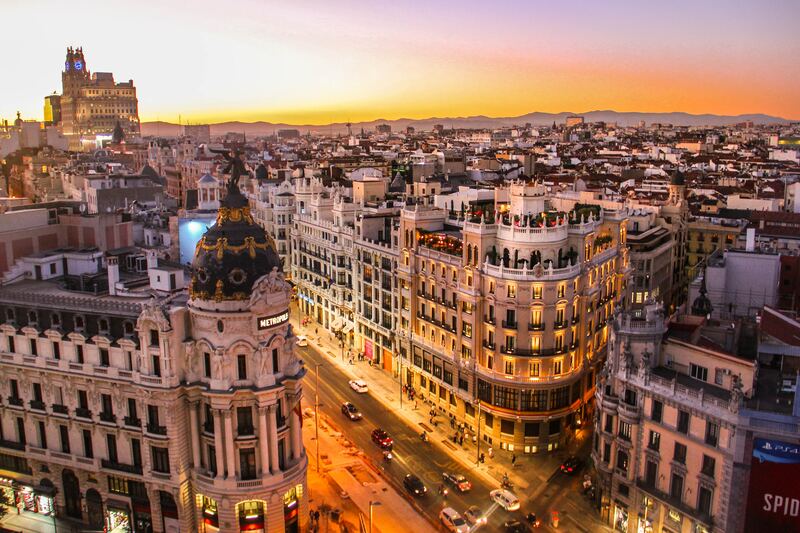 Madrid is the perfect destination for a long weekend in autumn, and we will explain why. Going for a walk to El Retiro is almost mandatory when visiting Madrid. And it is mainly because this park of more than 100 hectares in the centre of Madrid is one of the most popular green spaces of the city among locals and visitors. There are many who go to the Retiro to run, walk, take picnics when the weather allows it or even ride a boat in the Estanque Grande (Big Pond). Other attractions of this park are its gardens, the Velázquez Palace or the Crystal Palace. Another very good option to walk and enjoy Madrid in the fall is the Botanical Garden, which is also next to the Retiro Park. It is perfect for when you want to escape the hustle and bustle of the city without getting to far from the centre. It must also be said that getting lost in the streets of Madrid is an ideal plan, whatever the season of the year. From the famous and spectacular Gran Vía or Paseo del Prado, to Zurbano street in the upper zone, going through the Cava Baja, with its bars and its atmosphere. If you make an autumnal trip to Madrid with your significant other, you are certainly in luck because it is a very romantic city, perfect for making plans to remember. The first thing that comes to mind to most is a boat ride in the Retiro pond, but we promise that you can find options for all tastes and wallets. For example, you can stroll through the Parque del Capricho, one of the most romantic corners of the city: 18th-century French-style gardens between a small palace and a small hermitage, away from noise and crowds. Besides being an ideal plan to enjoy the city as a couple, it is also totally free. Not bad, right? 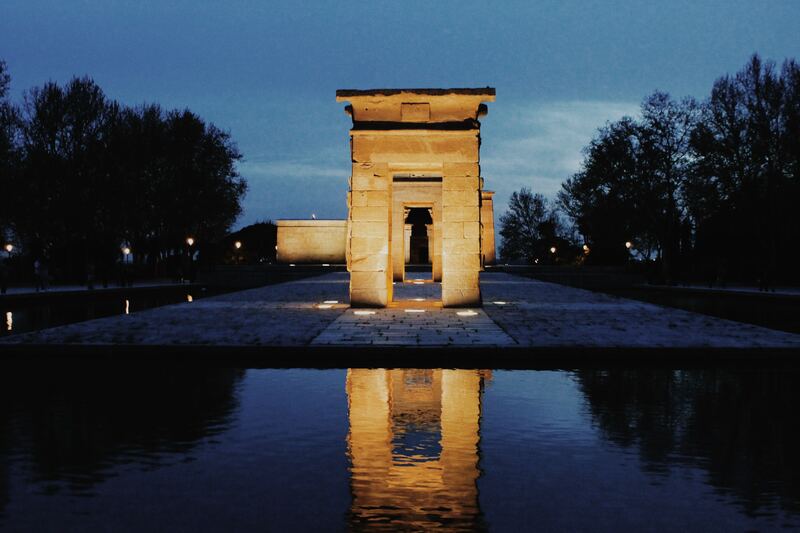 The Temple of Debod at sunset is another perfect romantic plan to do when you are visiting Madrid. Very economical and totally magical, especially when the temple forms are reflected in the water while the sun goes down. However, if the weather doesn’t allow you to go for a walk and you have to look for indoor plans, we recommend you to spend a relaxing day at the spa. You have many options to choose from. In the centre you will find the Hammam Al Andalus, with thermal waters, body massages and all this in an old Roman construction. If you are looking for something more modern and minimalist, there is Caroli Health Club, in the financial district of the city. You can also go to The Organic Spa, an organic and luxury urban spa on Madrid’s Golden Mile. To mention just a few. And what about enjoying a good movie in an old theater of 1912? It sounds like a really special plan to us. 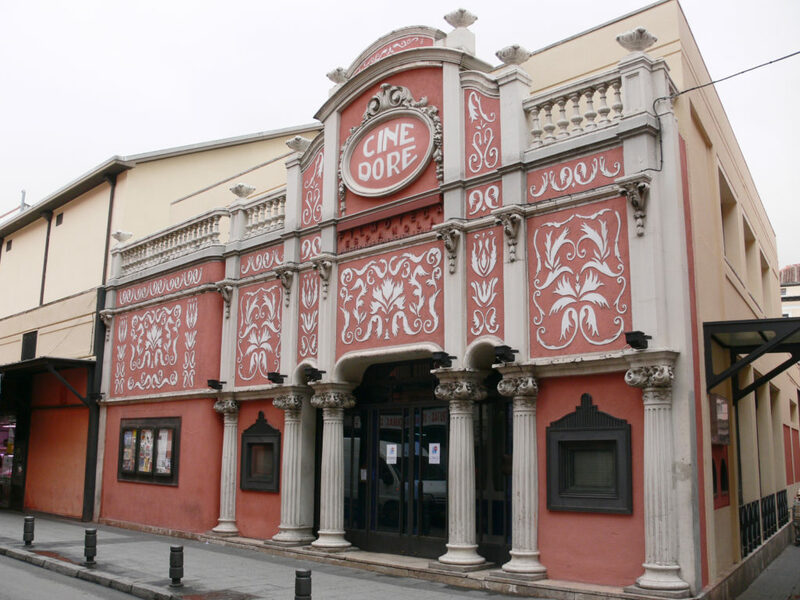 You will have to go to the Cine Doré, in the city centre, any day of the week except Monday, when it closes. In addition, this special plan will only cost you € 3. And finally, we can tell you a secret to make your stay in Madrid even more romantic. In Montera Street you will find the Secret Garden of Salvador Bachiller, an oasis full of plants and flowers where you can have a drink with your favorite companion. In addition to its architecture, its culture and its leisure options, Madrid is a city especially known for its great gastronomic offer. There are many places to eat in Madrid, but if you consider yourself a “foodie” and you are very passionate about good food, there are some restaurants that you must include in your list. Numa Pompilio is, according to many, the most authentic, refined and romantic Italian restaurant in the city. But if you are looking for a good vermouth or a wine and you also want to enjoy typical Madrid food without losing style or authenticity, your place is the Gran Clavel. What about live music while you enjoy a very special cuisine? Go to Fismuler; you will eat great food, you will discover new dishes and you will feel very comfortable there. And finally, if the exotic is what catches your attention, we recommend Chow Chow, with its high-quality fusion cuisine that mixes latin and Japanese gastronomy. You will be transported to Kyoto.